You'll find this cozy family home tucked away between Bodenburg Butte & Pioneer Peak. Just minutes to Pyrah's Pioneer Peak Farm where you can ''pick your own'' and the Reindeer Farm with reindeer, horses, bison, moose, yak & elk. 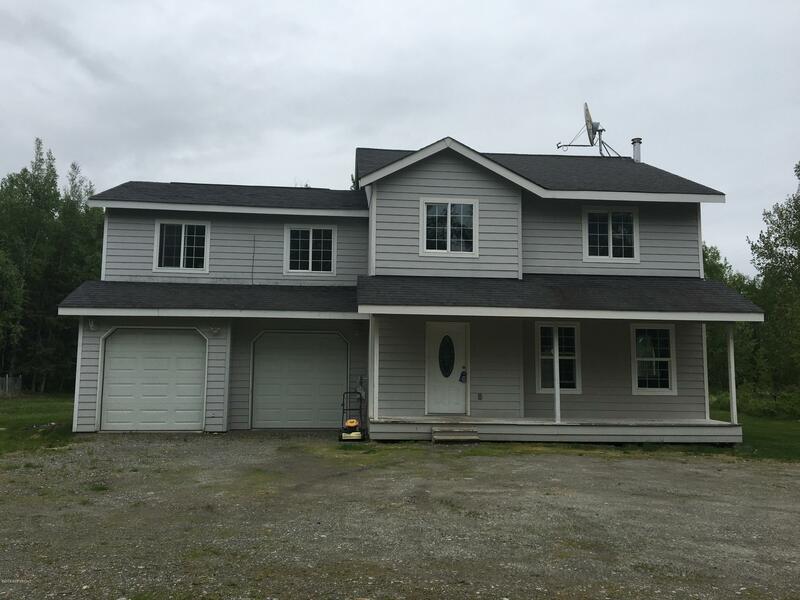 3 bedrooms & large family room, 2.5 baths, office, 2-car garage, huge outdoor hot tub with privacy fence, small barn, 1.48 acres, with easy access to Old Glenn Hwy. Have your own little farm here! Horses, chickens, goats, llamas, pigs, rabbits & alpacas allowed, in addition to domestic pets. (Some limitations apply. Refer to the CC & Rs) Property built to 5-star energy standards in 2003. New drain field installed. Updated seller's disclosure in Documents Tab.